Novel issues in discovery have emerged and more and more lawsuits involve third-party litigation funding. Such issues revolve around the question whether and to what extent funding agreements are discoverable. Because there are few formal rules that directly address this question, courts have reached sometimes conflicting conclusions about how to resolve these issues. For example, in 2015, a New York federal district court considered a motion to compel the production of litigation funding documents. Kaplan v. S.A.C. Capital Advisors, L.P., No. 12-CV-9350 VM KNF, 2015 BL 324773, at *4 (S.D.N.Y. Sept. 10, 2015). The court denied the motion, ruling that the defendants did not demonstrate the documents were relevant to any party’s claims or defenses. Nevertheless, other courts ruling on similar requests have found litigation finance documents to be relevant and therefore discoverable. See e.g., Acceleration Bay LLC v. Activision Blizzard, Inc., No. CV 16-453-RGA, 2018 BL 45102, at *4 (D. Del. Feb. 9, 2018). 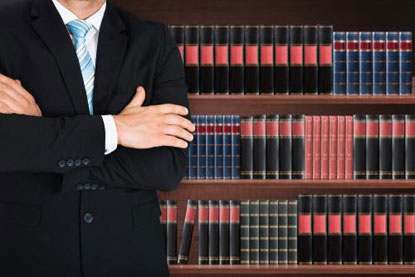 Even in those courts that find them relevant, the documents relating to litigation funding agreements have sometimes been found to be protected by the work product doctrine, which protects documents prepared in aid of litigation. See Miller UK Ltd. v. Caterpillar, Inc., 17 F. Supp. 3d 711, 738 (N.D. Ill. 2014); see also Morley v. Square, Inc., No. 4:10CV2243 SNLJ, 2015 BL 379408, at *4 (E.D. Mo. Nov. 18, 2015). In Acceleration Bay, the court concluded that funding documents were not work product because their “primary purpose” was to obtain funding and because the documents were not prepared for a party to the litigation. Acceleration Bay, 2018 BL 45102, at *3. The discovery of litigation funding is also an increasingly prevalent issue in non-judicial forums. Some arbitration organizations require the disclosure of parties who have a direct financial interest in the outcome of the arbitration. See IBA Guidelines on Conflicts of Interest in International Arbitration, § 6 (b), Oct. 23, 2014; see also ICCA-Queen Mary Task Force, Third-Party Funding in International Arbitration 40 (Sept. 1, 2017) (draft) (examining third-party funding in the international arbitration context). In light of these trends in discovery, funders and the lawyers for parties seeking funding would be well-advised to consider drafting appropriate common-interest agreements to extent the protection of the privilege to at least some parts of the funding transaction. In addition, funders and counsel should consider minimizing the extent to which documents are created disclosing potentially sensitive views as to the likelihood of success in the litigation. This entry was posted in Litigation Finance and tagged disclosure, discovery, Litigation Finance, Litigation Funding on December 20, 2018 by TownCenter Partner Team.